War! Huh! Yeah! What is it good for? Absolutely nothing... not on the Nintendo DS that is, with Panzer Tactics hitting the small screens that offers a strong single player campaign mode and an interesting multiplayer option that is set during World War II. Gamers are transformed into a commander as they control one of three different armies during this turbulent time, the Russians, the Germans and the Western Allies as you embark on a variety of historically accurate battles. The first campaign that players embark on is the Axis campaign which teaches the gamer the ins and outs of the title, followed by the Russians and then the Western Allies which did become considerably difficult in places. Each of the different campaigns contain 10 missions and is a turn-based game strategy game that allows the gamer to control a plethora of different troops as they embark on a variety of different objectives and missions. With all good turn-based games, Panzer Tactics allows the gamer to move their units into a hexagonal square and when an enemy is near, you can then engage in the enemy which display a pre-rendered battle scene. Gamers also control certain core units in the title that can be used throughout the campaign of the country and needless to say, players must watch their units because they only have a set number per mission. Fortunately players can also purchase additional units that allows for some non-linear gameplay, however some good old fashioned "common sense" helps as well because you really need to think what units should battle other units. 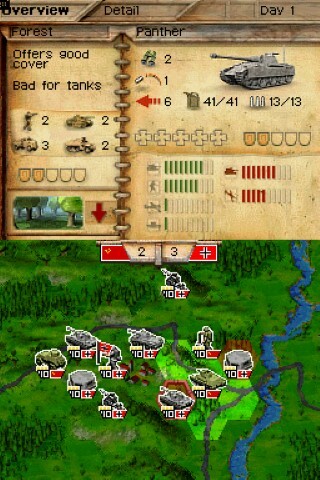 Graphically, Panzer Tactics is a little lacklustre on the Nintendo DS that contains some mediocre level designs. The unit graphics are impressive enough as are some of the animations but in its essence, it's a traditional turn-based board game with a few special effects thrown into the mix such as explosions and the like. 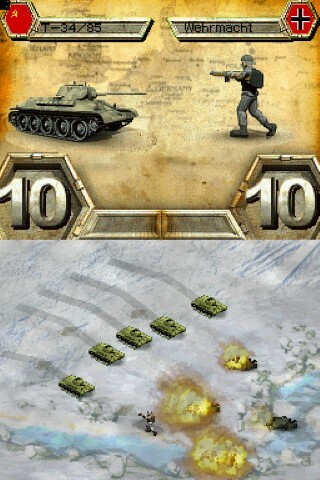 For those who like multiplayer, Panzer Tactics features a "Hot Seat Mode" that allows two players to "share" the DS as they attempt to defeat the other opponent. Although an interesting experience, it does become frustrating as you need to have a good memory knowing where each of your opponents have moved. There's also a Wi-Fi mode that is similar to the single player mode but does require some initialisation before playing. The Wi-Fi game was quite a fun experience and definitely increases the longevity of the title once you have finished the single player campaign mode. 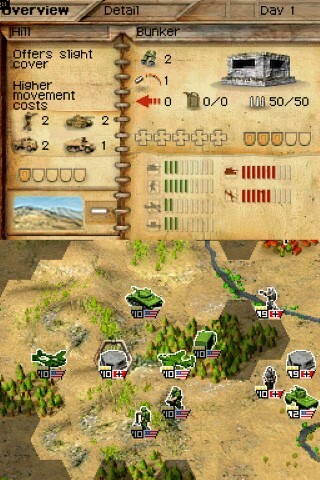 In conclusion, Panzer Tactics DS is a sturdy turn-based game for the Nintendo DS that uses real-world history in this deadly war. With a variety of different units and ways of completing the title, this title is definitely for the strategist but just be warned that the graphics are a little lacklustre.